Here is a great winter project. 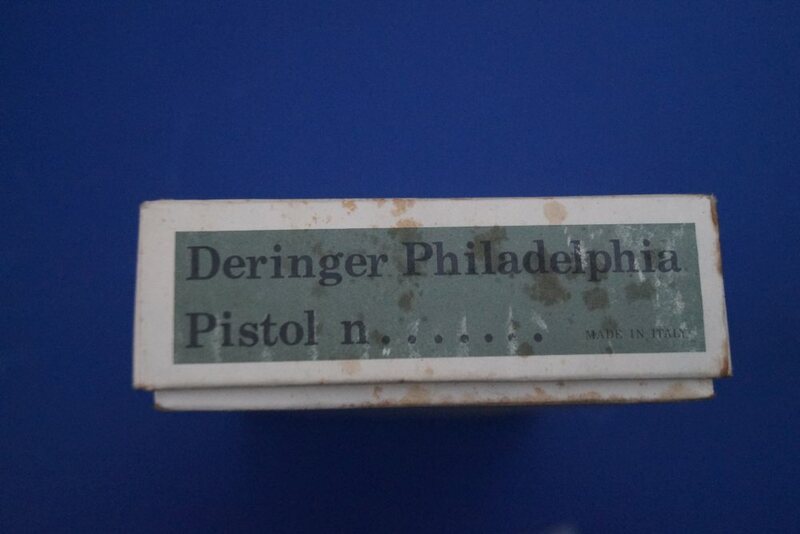 This is an early Dixie Gun Works Henry Deringer Kit probably from the early 1960's. The man responsible for coming out with such a fine kit was likely Turner Kirkland, the company's founder. 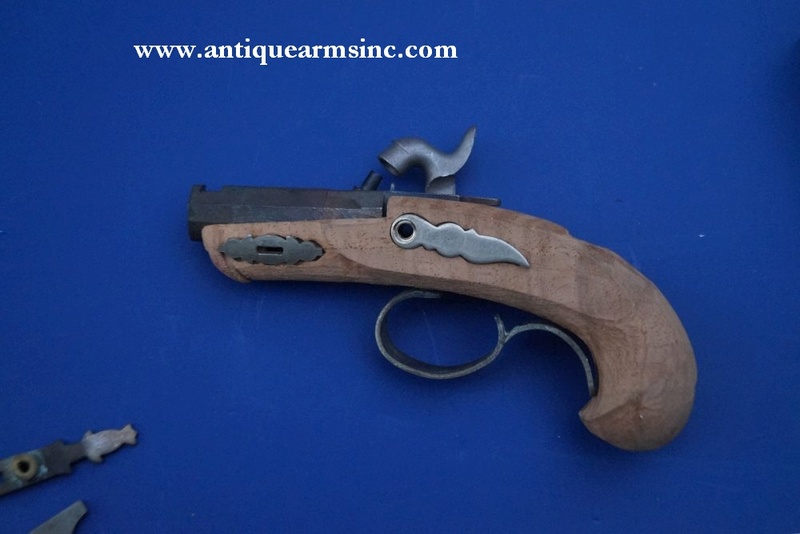 Unlike most modern reproductions of the Deringer which are too bulky and often made of European hardwood, this one is American walnut with the correct grip contours like the original. 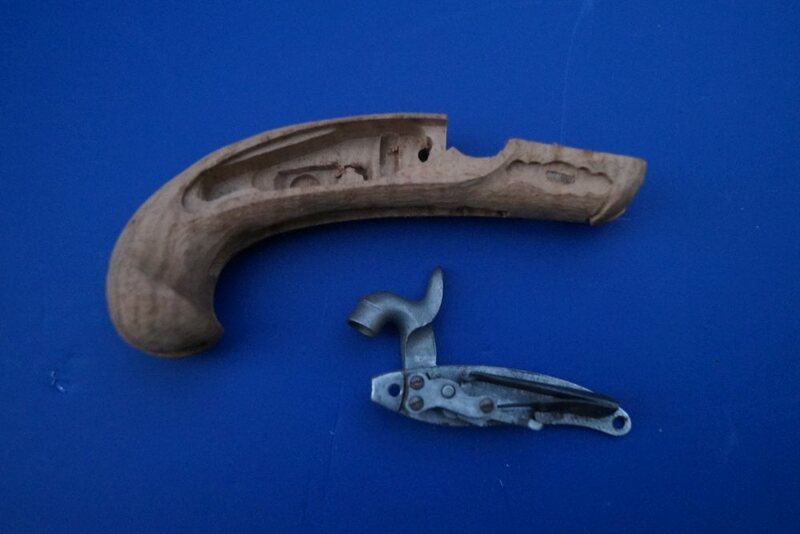 This is also a real kit...there are no markings, no engraving, no pre-finishing, nothing appears to be pre-hardened...which limits creativity. Since nothing is hardened, this means you can proudly stamp your name and your style of engraving as the builder. 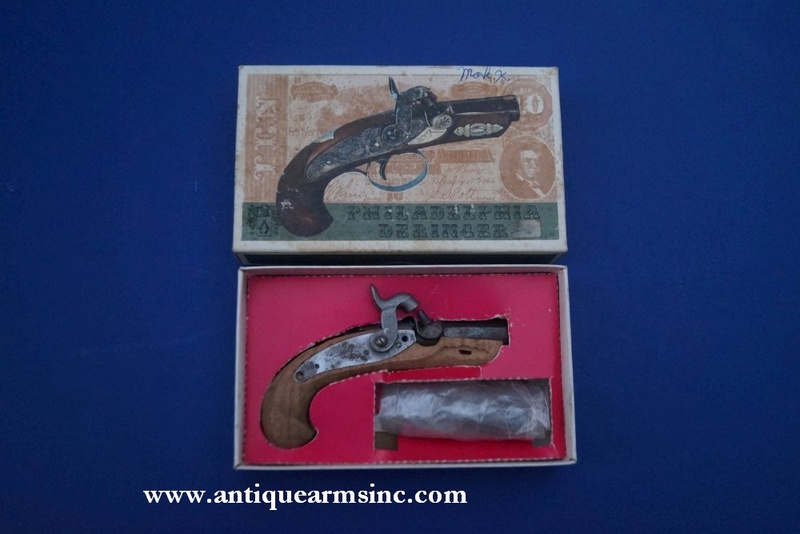 Just as though you were one of Henry Deringer's competitors did back in the 1850's and 60's. The only thing that is assembled is the lock. In a way, this kit is the equivalent of how a general contractor in a circa 1860's guild system would build a gun. 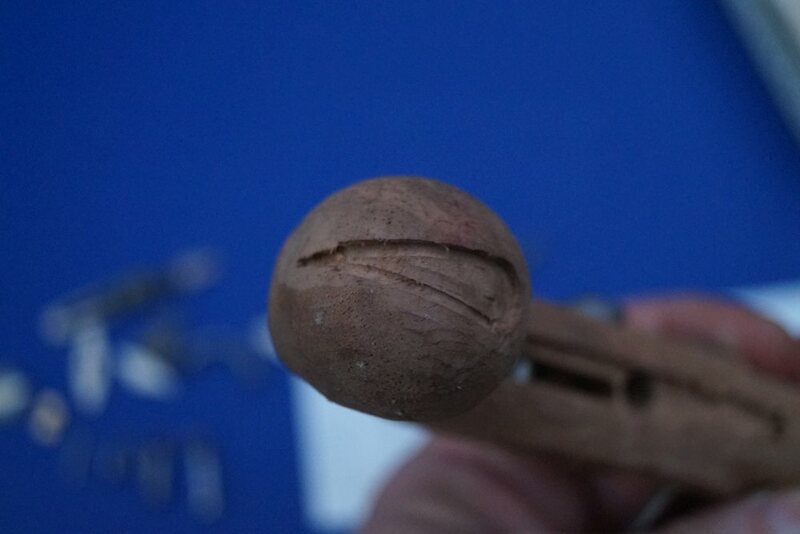 Contractors would supply the lock, barrel, screws, furniture, and the general contract would perform the final assembly, marking, and finishing necessary to produce the final product. Interestingly, there is an old note supplied by DGW to someone who could mark and engrave these kits in the style of Henry Deringer for 25.00. 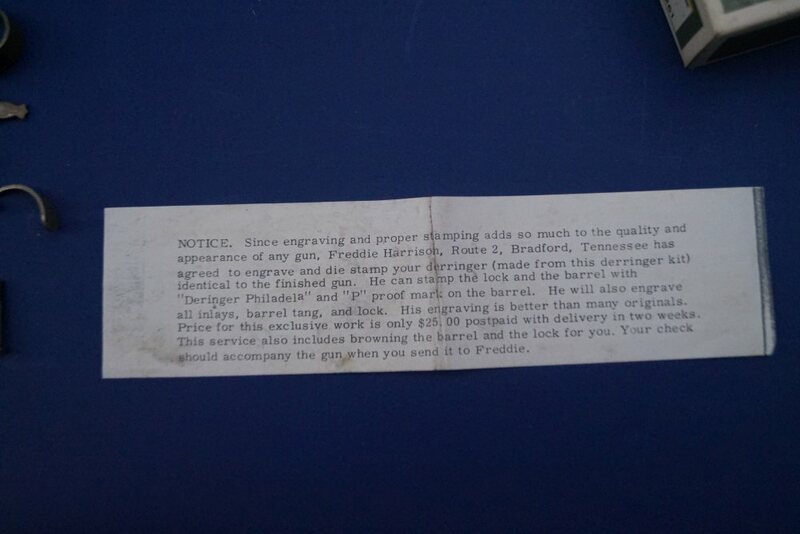 I'm sure he is long gone but the note gives insight into the early era of percussion kits. 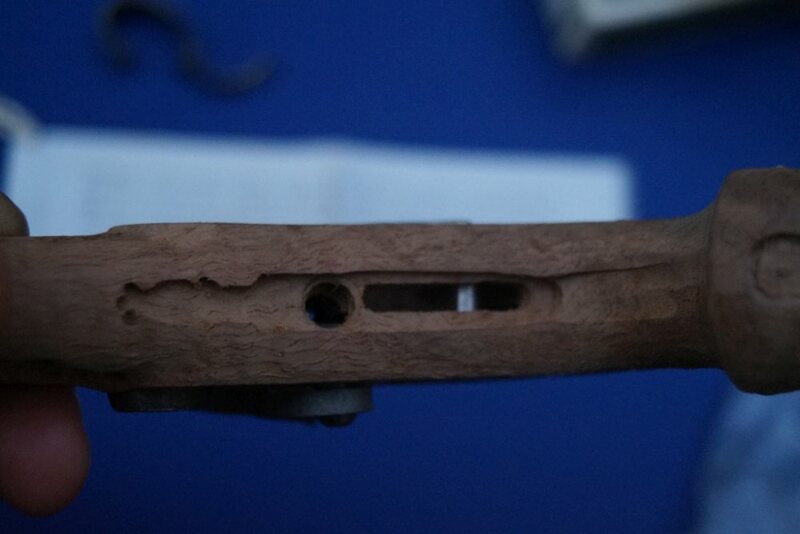 The wood is about 98% inletted. Needs final inletting for metal parts and checkering. German silver inlays will need to be fitted by hand and engraved. 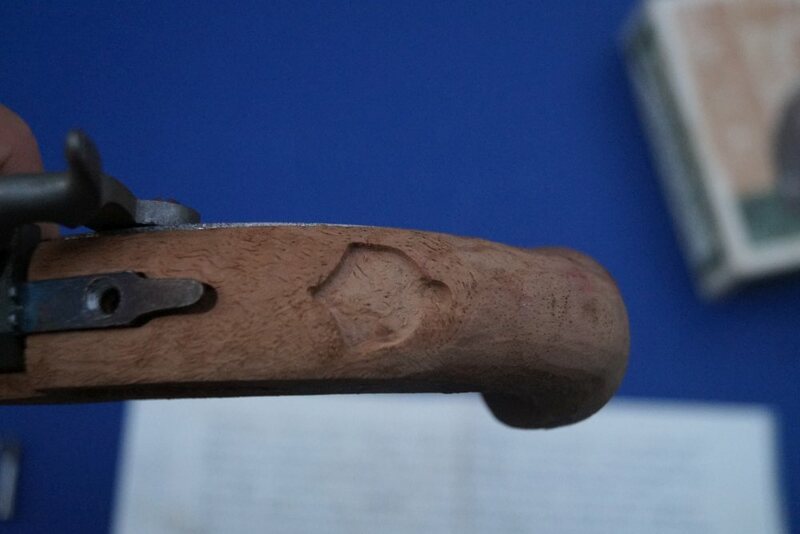 Lock will need to be engraved and color case hardened. Barrel will need to be polished and browned. 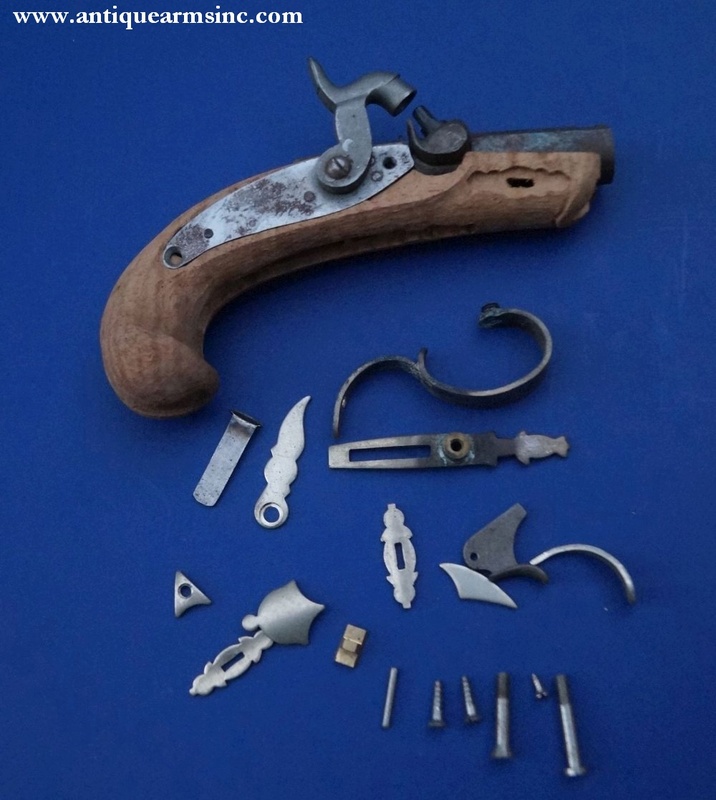 You will be amazed at how much knowledge you acquire in 19th century gun-building from assembling such a small box of parts.